Taking home the “Best 2013 Smartphone” award in this year’s MWC in Barcelona. HTC once again deliver another raging monster phone with a similar name. 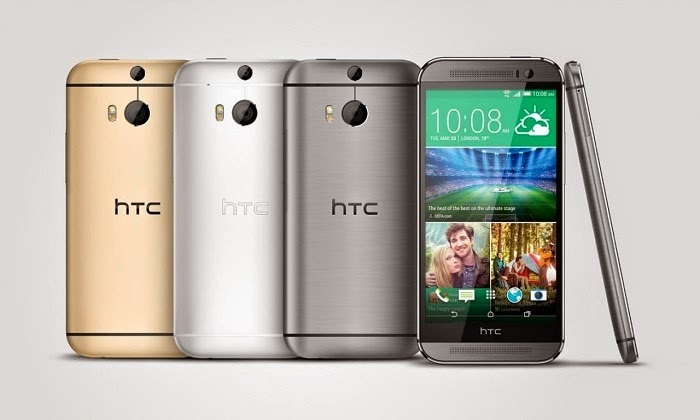 HTC One M8 promises better specs and camera capabilities compared to its predecessor. Check out after the jump as we do our take on HTC’s specifications. The display will be a bump from 4.7-inch to a 5-inch affair. Judging from the looks of it, the device will still sport a 1080p full HD display. HTC’s use of processor for its flagship handset has been in question since last year when it decided to release a generation-old Snapdragon 600 for the 2013 HTC One. Now, leaks suggest that the Taiwanese company will be using an “improved processor” though we are seeing that it could use a Snapdragon 801 or the lower version Snapdragon 800. Its design will still be the same old svelte philosophy. Basing on the leaked pictures, the all new HTC One is just a taller version of its predecessor. The iconic frontal speakers with Boom Sound will still be pleasing our ears and the added double tap to wake function from LG G2 are pleasing features of this handheld. HTC has this odd reputation of innovating certain norms when it comes to mobile camera features. Last year, instead of join the race to have highest camera sensor, HTC has decided to use a 4MP sensor for its 2013 flagship and introduce an Ultrapixel software to support its camera at the same time. Now, the all new One will have not only one but two rear cameras called the Duo Camera. This will give “bokeh” or blurred effects to photographs and will also allow the camera to choose the focal point. Plus, this camera will chew any 3D effects thrown at it, both photos and videos. It’ll also have the iPhone5s-eque dual LED flash. The all new HTC One will be, again, one of the first handsets to have a Google Play Edition this year. After the naming HTC One as 2013’s best smartphone in MWC, HTC guns this new flagship as a tough competitor in the high-end Android market just like what it did a year ago. Locally, this device is dubbed to hit the country this month.